Where is the air conditioning filter located on a BMW 135i from year 2008, 2009, 2010, 2011. Here you can find how to locate BMW 135i cabin filter when you need to replace. Cabin air filter on BMW 135i is located outside of car. If you need to change the cabin air filter on BMW 135i you need firs time to open the hood. 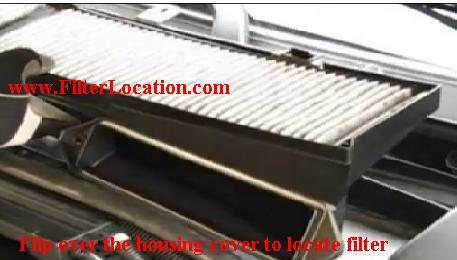 Remove all screw that secure the filter housing cover like in picture bellow. The cabin air filter is located under the hood on the center of the vehicle. After removing all the screws flip over the filter housing cover to locate this like you see in picture. Pull on the tabs to remove cabin air filter from the filter housing cover and replace to the new one. For more guidance feel free to ask about how to replace the air conditioning filter for BMW 135i year 2008, 2009, 2010, 2011. If you want to reset service light reminder on BMW 135i click here. How to locate if you need to change cabin air filter, oil filter, fuel filter, pollen filter or air filter on BMW 135i year 2008, 2009, 2010, 2011. Pictures may differ but the procedure is the same.